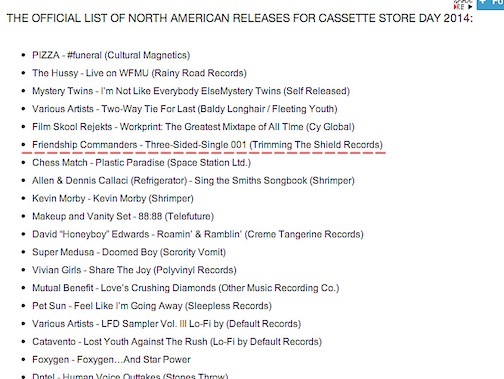 The fine folks at the Cassette Store Day site just posted the list of official participants for this year. We're so happy to be on it, sixth spot down! Our three-sided-single is taking shape nicely, and we can't wait for you to hear it and see it! Our cover art was done by punk rocker and artist extraordinaire B. David Walsh. Go check his other work out! The official date is September 27th, and we'll likely also be part of an event for the occasion. We'll have more news soon; thanks for stopping by!